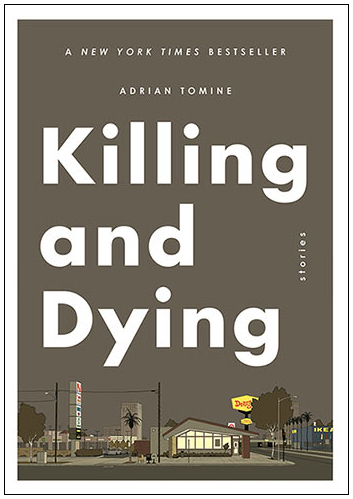 In his first full-length work since Shortcomings in 2007, and working with colour for the first time, Adrian Tomine has produced a darkly funny and deeply moving collection of stories which showcases his exceptional range of focus and technique. A masterpiece about the anxieties of being alive in the twenty-first century, Killing and Dying is Tomine’s most ambitious and empathetic work to date. Born in Sacramento in 1974, Adrian Tomine is the author of the acclaimed comic series Optic Nerve. His books include Shortcomings, Summer Blonde, Sleepwalk, Scenes from an Impending Marriage and, most recently, New York Drawings, all of which are published by Faber in the UK. Since 1999, his comics and illustrations have appeared regularly in The New Yorker, where he has created more than a dozen iconic covers. He lives in Brooklyn, New York, with his wife and daughters. Picking up from his earlier collection Sleepwalk, and the precursor to his award-winning Shortcomings, the four stories in Summer Blonde are quintessential Tomine. Memorably featuring characters such as Neil, Carlo and Hillary Chan, among others, these are beautiful and haunting tales that illustrate with great sympathy the loneliness and bleak humour of modern life.